Story by Peter Baya Garama. 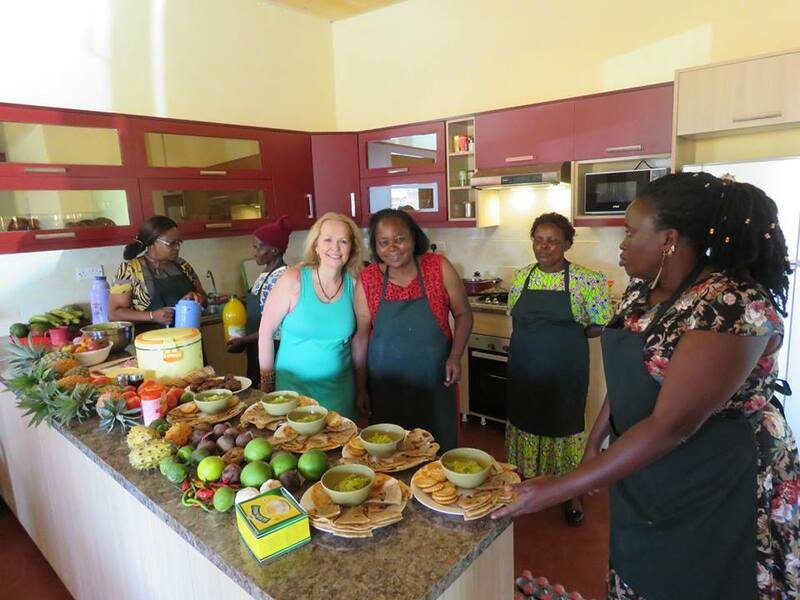 After two solid months of hard work, challenges and chaos, we celebrated the opening of the new Faraja Community Centre kitchen in rural Kenya today. 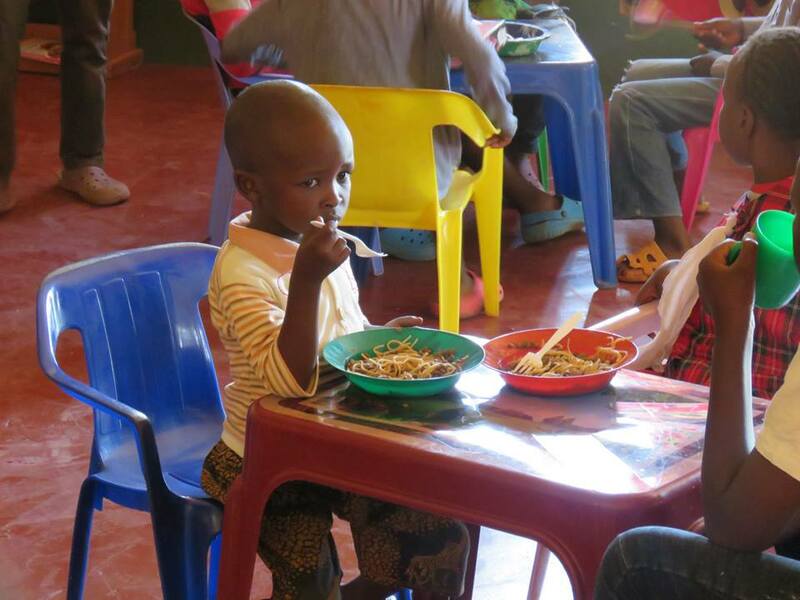 First off the kids enjoyed spaghetti with lentil-tomato sauce followed by banana ice cream and dancing with the very entertaining Kuka. Then about 30 energetic university students came to learn about the new youth pizza nights. They tried out the guacamole and chapatti and listening to some cool music. Studenst from Chuka University posing for a group photo outside the centre. Some of the youth that attended the launch party. 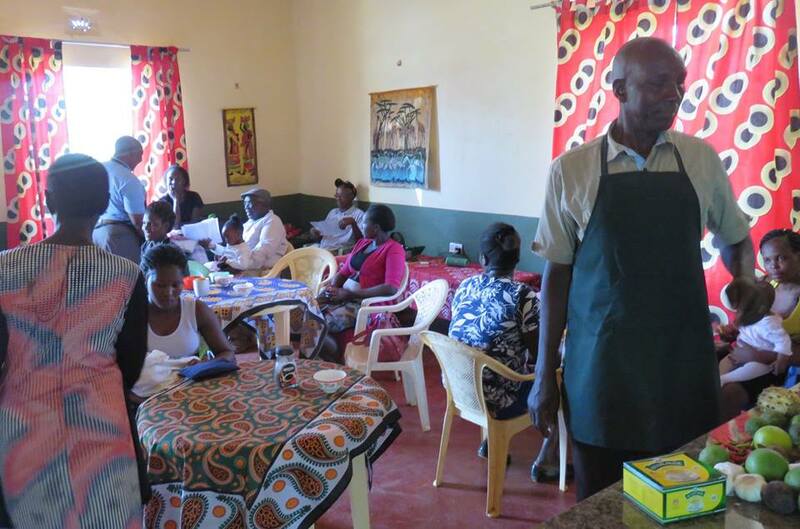 Other visitors from the Chogoria community joined us to celebrate and try some of Millicent’s pumpkin soup, our fresh juices and yummy muffins. Everyone had a fun time, and now the beautiful centre is set for great things in the future. Staff that helped in cooking. 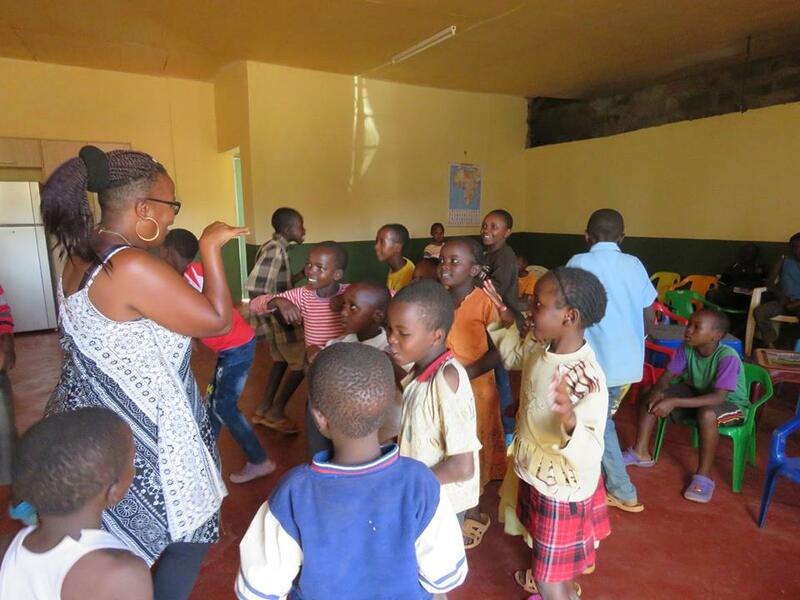 Kids’ Club on Saturday afternoons, from 12 noon to 3 pm will expand the food choices for the children and teach nutrition and cooking skills and creative play including stories, art, music and games. Mum’s Group on Tuesday afternoon, 1 pm – 4 pm is open to all expectant mothers and mums with babies and toddlers and pre-schoolers to offer each other support, encouragement and interaction. Women’s Group on Wednesday afternoon, 2 pm – 5pm invites women of all ages to come and socialise and enjoy healthy snacks. The group will have regular guest speakers on health and women’s issues. Men’s Group on Thursday evening, 7 pm – 10 pm, is open to men of all ages to socialise and discuss issues of concern. The group will have guest speakers on men’s health and other interests. Youth Social Nights are held on Friday, 7 pm – 10 pm for teenagers, aged 15 to 19 and Saturday, 7 pm to 10 pm, is open to young adults in their 20s. The events welcome youth to socialise and enjoy pizza, snacks, soda and music in a strictly alcohol-free zone. 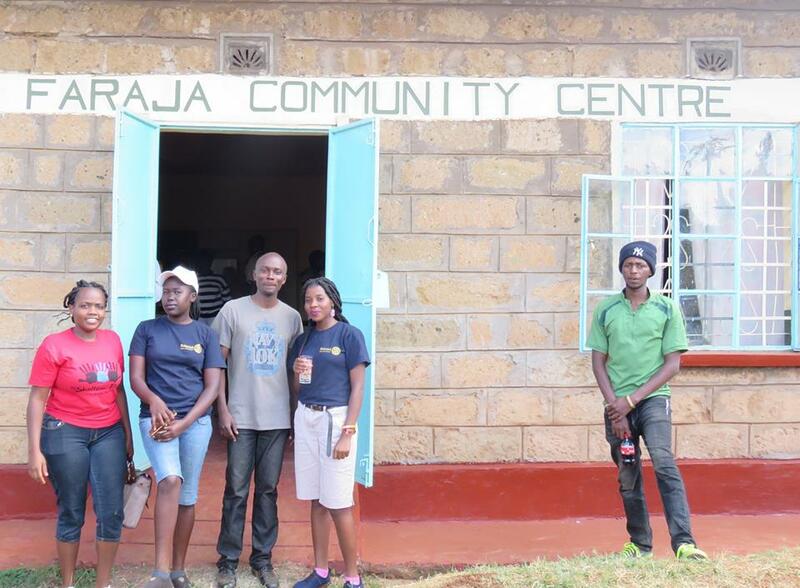 The Faraja Café will offer delicious, healthy food and fresh juices at affordable prices. Some of the food that will be offered at the centre.